Today the National Police Commissioner released the crime statistics for the year 2015/16 and the Western Cape numbers remain stubbornly high, but with some improvements. The Western Cape continues to have a very high murder rate. The murder rate has constantly been on the rise since 2011/12 where there were 2293 murders in the Western Cape, 3186 in 2014/15 and the numbers released today indicate an increase of 1,2%, with a total of 3224 murders. Although the Western Cape fared better than almost all provinces and this murder rate increase is the second lowest in the country, this is hardly any consolation. Adriaan Strauss will retire from Test rugby at the end of the 2016 season. Strauss, who became the 57th Springbok captain against Ireland in June, said he had been contemplating retirement at the end of the season since late in 2015, and that he had informed Springbok coach Allister Coetzee of his thinking on his appointment earlier this year. “When Coach Allister approached me to lead the team, I was both humbled and honoured,” Strauss said. “The plan was for me to serve and lead a team in transition as well as I can and take things week by week, but back then I already told him that I was thinking of retiring at the end of the season. Coetzee lauded Strauss for the role he is playing in empowering a new generation of Springbok players and developing a new team culture. This year the City has budgeted R2,5 billion in total to help our more vulnerable residents with rates- and indigent relief. R1,4 billion has been set aside for rates rebates alone. The City would therefore like to ensure that all qualifying property owners have the opportunity to make use of this form of financial assistance. Senior residents (60 years and older) as well as recipients of a disability grant or pension could qualify for rates rebates ranging between 10% and 100%. The high number of murders in Delft is cause for concern. The Delft police station has one of the worst police to population ratios in the metropolitan area. I will now take the matter up on a provincial and national platform. Gang violence has reportedly claimed 31 lives in Delft during the month of August. There are severe shortages at police stations and officers on the ground are over-worked and overwhelmed by the violent crime that they must combat. 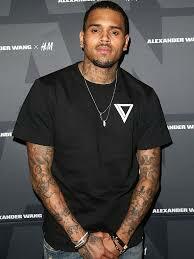 Los Angeles – A woman who accused Chris Brown of pulling a gun on her claims she was left in fear of her life. Baylee Curran spoke to police in the early hours of Tuesday morning after fleeing the Fine China singer’s home in Tarzana, Los Angeles, barefoot following a row and admits she was genuinely frightened he would shoot her. She explained to E! News that she was inside the rapper’s kitchen admiring some jewellery on display when things turned nasty. 12:49 PM PT — Chris’ entourage has started filing out of the house. They’re all lining up outside the front door with cops checking them for weapons. Still no sign of Chris yet. At the same time … police are holding a news conference at the base of Chris’ driveway. 12:30 PM PT — Chris’ attorney Mark Geragos just arrived entered the house. We’re expecting Chris to surrender sometime soon. 11:11 AM PT — We’re live streaming outside Chris’ house … where police are waiting for him to surrender. Police have retrieved at least one gun, other weapons and drugs from Chris Brown‘s home, after Chris threw a duffel bag out the window of his home … TMZ has learned. TMZ broke the story … cops raced to Chris’ home early Tuesday morning after a woman called 911 and claimed he pulled a gun on her. The City of Cape Town’s Gang and Drug Task Team (GDTT) continues to punch way above its weight class. In the first seven-and-a-half months of 2016, the GDTT, along with the Stabilisation Unit, arrested 716 suspects in the city’s gang hot spots. Of those arrested, 542 were caught in possession of drugs. Just more than half of all the arrests were made in five policing precincts, namely: Philippi (107), Manenberg (96), Steenberg (56), Bishop Lavis (55) and Delft (51). This week I am leading a delegation of business people to Turkey in order to promote Cape Town as an investment destination and to grow the market for locally produced goods and services in Turkey. Connectivity between Cape Town and Turkey has been improved through the recent commencement of flights by Turkish Airlines between Cape Town and Istanbul. This provides an opportunity for business people in each location to do business with considerably more ease, while also increasing the number of seats bringing tourists to Cape Town. The Turkish Airlines flights to Cape Town are a catalyst for increased economic opportunities for people in Cape Town. I am not sure what exactly to make of this interview. Well done young lady for stating your point. During operations over the past few days, City traffic officers issued a total 2 216 fines and arrested 24 suspects for various offences. On Sunday 28 August 2016, the City’s Traffic Service closed down Robert Sobukwe Road in Bellville South to prevent an illegal drag race involving 200 vehicles – 14 of which were suspended for not being roadworthy.